The advent of e-commerce has forced many retailers to ramp up their delivery offerings as consumers seek the most convenient shopping experience imaginable. One retail category that has lagged is perishable goods like groceries and fresh food. And the reason is obvious: no one wants their milk sitting outside of a refrigerator for too long. But some big players in food are betting big on a compromise: online sales with in-store pickup. People with even a loose affinity for football probably caught Walmart’s (WMT) grocery pick-up ad during Super Bowl LIII — a lighthearted, 1-minute commercial featuring several classic movie cars, including the Batmobile, “Scooby Doo’s” Mystery Machine and the yellow Volkswagen Beetle from the Transformers flick “Bumblebee.” All of these fun vehicles made grand entrances to the Walmart pickup area. 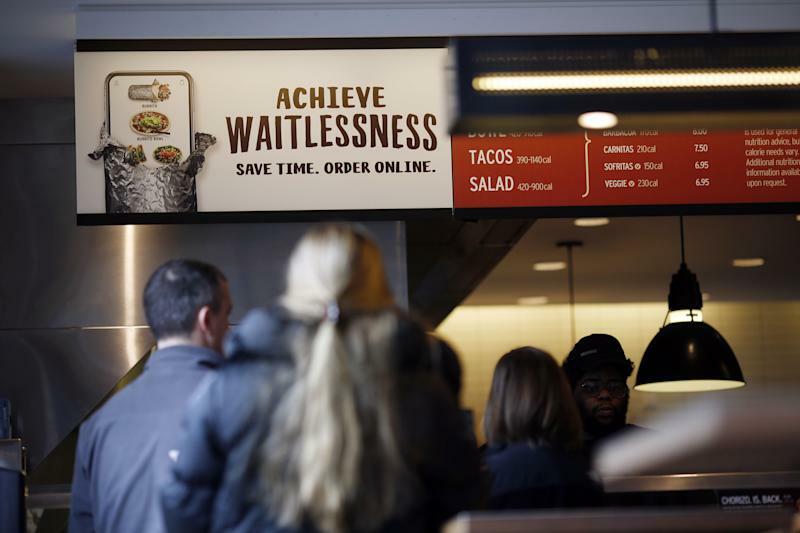 Chipotle (CMG) on Wednesday also reported that digital sales for its fourth quarter grew 65.6% year-over-year, accounting for 12.9% of all revenues for the quarter, with the majority of those digital sales consisting of consumers ordering meals online, then picking them up in-person. During the busy holiday-filled months of November and December, Target (TGT) processed 60% more items year-over-year via online order pickup, ship from store and its “Drive Up” option, where customers drive to designated delivery pickup points at Target location, Target Chief Operating Officer John Mulligan said in a company blog post in January. Last week, Amazon (AMZN) noted that sales at its Whole Foods locations have been going sideways. 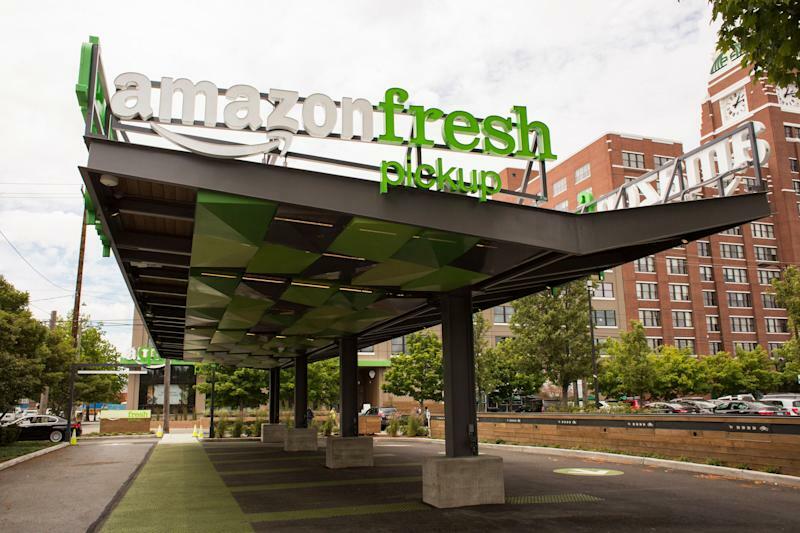 But within Whole Foods, one standout growth driver was in-store pickup of products ordered online through Whole Foods’ Amazon Prime Now service. Such orders were lumped into online sales, which rose 13% year-over-year during the fourth quarter, rather than in-store sales. There’s still significant upside for the perishable foods industry, particularly for retailers blurring the lines between online and offline sales. 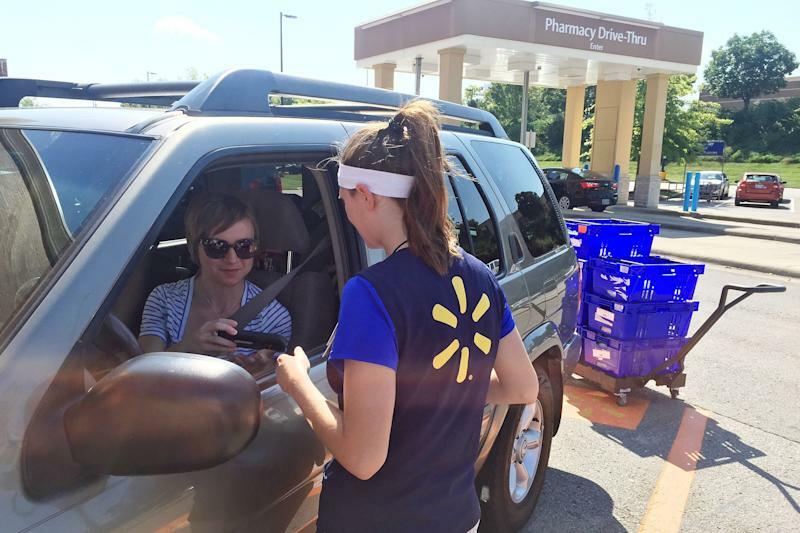 Walmart, for instance, which already works with DoorDash, Postmates and Deliv for online grocery delivery, could own 17% of all online grocery sales by 2025, up from 11% in 2017, Deutsche Bank analyst Paul Trussell estimates. Howeever, don’t expect all food sales to go online. On Tuesday’s episode of The Final Round, chocolatier Jacques Torres explained that there will always be customers that want to come into a food store for the smells and the conversations. That’s something pure online service simply can’t replicate.